Kennedy Technology Group offers a wide array of GPS interface devices and harnesses. They can be used in conjunction with all Kennedy audio interface modules. This means that you can integrate the GPS with a multitude of other devices, such as MP3 players and radar detectors. 2. From the appropriate column in Table 1 (below) select the bike audio system to connect to the GPS. The Configuration Guides in Table 1 have flowcharts labeled to help you decide what specific base components you need depending on the way you want to use the GPS. When you find the configuration that is appropriate for you, make a note of the parts and part numbers you need. 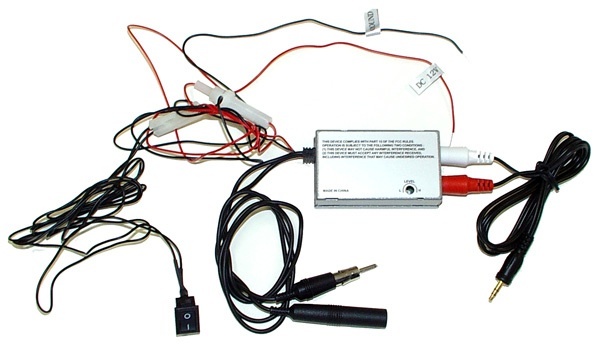 Note that some component harnesses vary by device (VBD), and depends on what you are trying to connect to the bike in conjunction with the GPS. 1. Select the appropriate GPS harness from the last row in Table 1. 2. follow the links for more information on the devices required and to select the VBD parts. 95446, Provides power, mic, and stereo connections. Not for use with nuvi traffic function. Here is the link to the GPS harnesses referenced to in the last row of Table 1: Multifunction GPS Harnesses (including iPhone). Switches GPS audio between Aux and ICS. No mic audio provided. Connects GPS audio to intercom input only. Provides mic audio View Hookup notes for connecting zumo to a GL1800. View General 1800 Hookup notes. Switches GPS audio between Aux and ICS. Mic audio provided to GPS View Hookup notes for connecting zumo to a GL1800. Manual switch device audio to two different aux inputs.